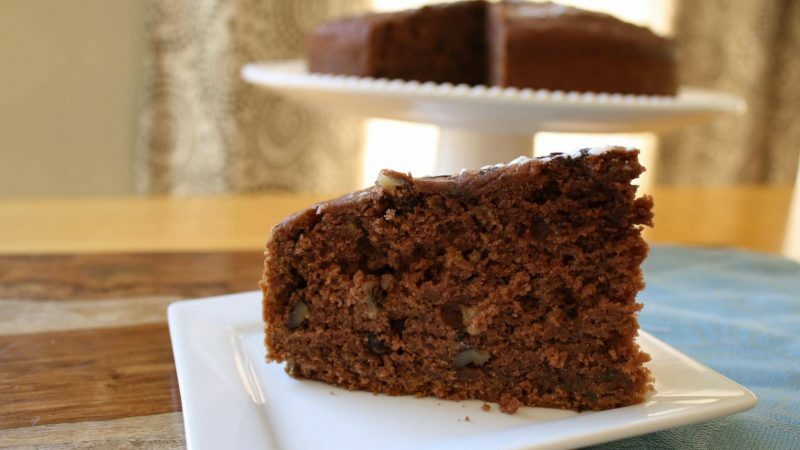 We’ve taken your traditional chocolate cake recipe and added a twist: Zucchini! Our Rodelle Vanilla Extract mixed with our Gourmet Baking Cocoa creates perfection for this zucchini masterpiece. Beat the butter, sugar, and eggs until light in color. Add the oil and beat again. Sift the dry ingredients together in a medium bowl. Gradually beat in the buttermilk, Rodelle Vanilla Extract and flour mixture alternating between wet and dry. Pour the batter into a greased 13x9 inch baking dish, or 2 loaf pans, or a 10 inch round cake pan. Sprinkle the top with the nuts and chocolate chips if using. Bake for 40 to 50 minutes, or until a toothpick comes out clean. Let cool, remove from pan(s), sprinkle the top with the powdered sugar and cool further on a rack. This cake gets moister with time.